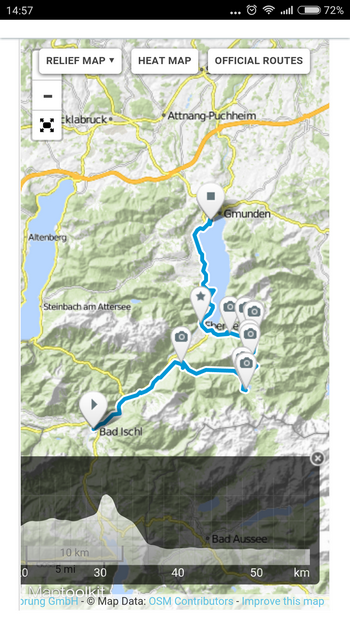 … is a feature that enables to bookmark a parameter URL of almost any map website that can transfer you to Locus Map defined location by a single button tap. 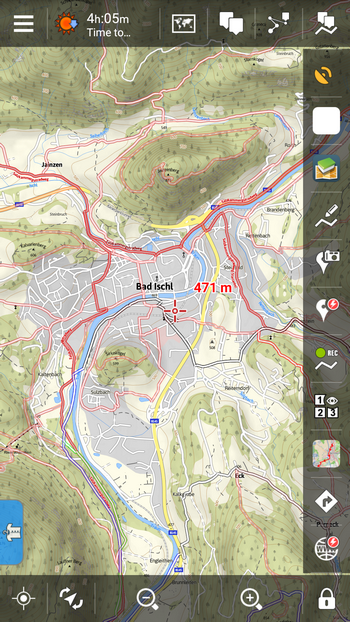 The function can be found in the Menu > More at the bottom. 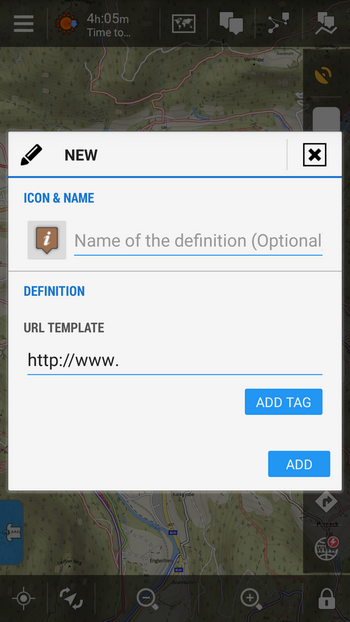 Quick WWW bookmark has to be set up first – as there are many map websites or servers and each of them uses different structure of their parametric URL, it is necessary to set each bookmark differently. 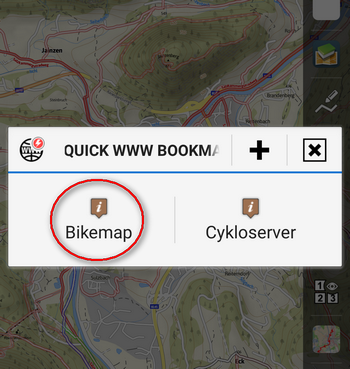 Let’s show you how to set it on one of the most popular track databases – Bikemap.net. 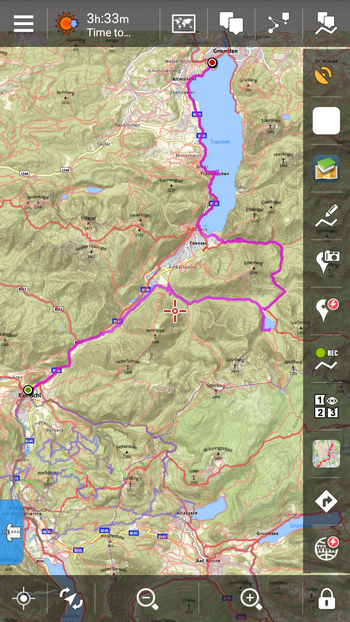 Most of you know this vast track database with many clones for other activities (Runmap.net, Wandermap.net etc.). For those who don’t this is the right moment to try it. 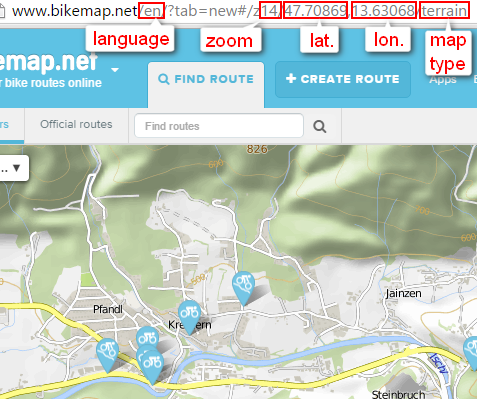 Firstly, have a look at the structure of the Bikemap.net website URL that leads to the map display. 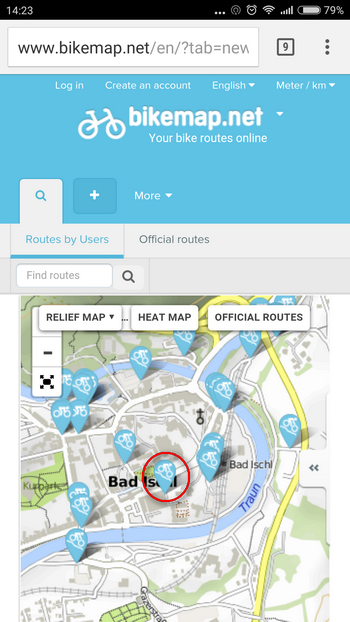 It consists of the main domain name www.bikemap.net, language parameter, zoom parameter, latitude, longitude, map type parameter and a few things that don’t concern us but that must be left where they are. 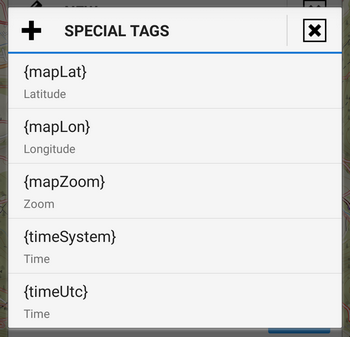 Parameters like language, zoom, lat/lon are variable and as such will be defined when setting up the bookmark. The URL syntax must be preserved or the feature will not work! Don’t forget to push “Confirm” button. 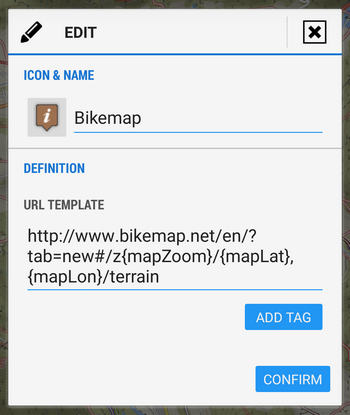 tap Quick WWW Bookmark in Menu > More (or in your function panel) and select the Bikemap bookmark. It’s just so easy! 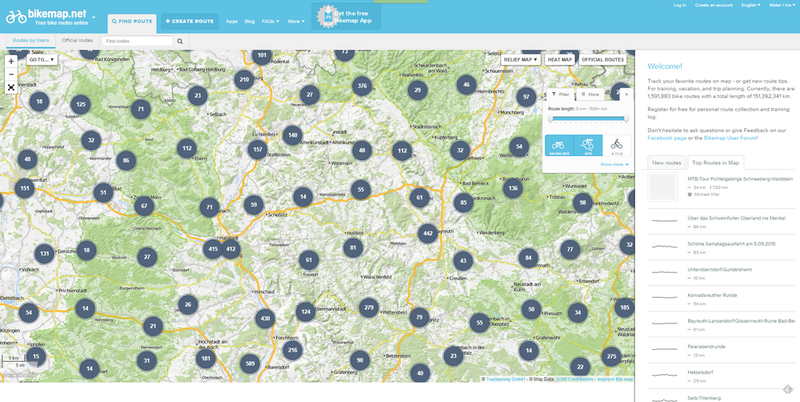 The weekend ahead, go find some tracks at Bikemap.net and enjoy your autumn ride! A slight tweak to the instructions….